See a production of All Is Calm at the The Bing. Two occurrences does not a tradition make, but I plan on seeing All Is Calm again this year with those closest to me. A heightened dramatic interpretation of the 1914 Christmas Truce during World War I, it's a beautiful, bittersweet and necessary testament to individuals' ability to find goodness when the world is in the throes of madness. What is that if not the artless fellow-feeling we mean by Christmas Spirit? It runs nightly from Dec. 17-20 at the Bing; tickets are $20. Already have visions of sugar plums dancing in your head? To savor every gingerbread-scented moment of the season, tune your radio to the station that's had "Sleigh Ride" and "Last Christmas" in heavy rotation since Halloween, and head over to White Christmas, which opened about a week ago at the Spokane Civic Theatre ($22-$30; spokanecivictheatre.com). This marks the third time in six seasons that the Civic has staged Irving Berlin's uplifting seasonal musical about two old army buddies organizing a hotel-rescuing benefit show, but it hasn't been dubbed a timeless classic without good reason. It runs from now until Dec. 19. If you want to prolong the holiday high, catch The Great American Trailer Park Christmas Musical at the Modern Theater Coeur d'Alene ($27; themoderntheater.org); you've got until Dec. 20 to see this amusingly crass, adult-themed take on yuletide cheer. Executive Artistic Director George Green says it's "not your typical holiday production. As I watch it, I'm laughing while shaking my head for two hours straight." Far more wholesome is Christmas with Friends ($27.50; cdachristmas.com), Ellen Travolta's popular annual celebration of all that is Christmas-y, which runs from Nov. 27-Dec. 20 at the Coeur d'Alene Resort. Directed by Roger Welch, who headed the Coeur d'Alene Summer Theater for two decades, this feel-good variety show also stars entertainment veteran Jack Bannon and cabaret talents Mark Cotter and Laura Sable. Starting Dec. 3, you're truly spoiled for choice. That's when the Spokane Symphony and the State Street Ballet hold the first of five performances (Dec. 3-6; spokanesymphony.org) of The Nutcracker with local dancers cast alongside professionals. Youth ticket prices start at $12.50, so it's an affordable way to introduce younger family members to this ballet featuring the iconic "Dance of the Sugar Plum Fairy." A Christmas Story: The Musical — which adds catchy tunes to the nostalgic tale of a kid and his longed-for Red Ryder carbine-action, 200-shot Range Model air rifle with a compass in the stock — also opens on that day at the INB Performing Arts Center for an equally short run ($32.50-$72.50; Dec. 3-6; inbpac.com). Yet it doesn't get much shorter than the one-night-only (Dec. 4, 7:30 pm) Holidazed and Confused Revue at the Jones Theatre on the WSU Pullman campus ($16; performingarts.wsu.edu). Performed by Second City, the Chicago comedy troupe that helped launch the likes of Tina Fey and Steve Carell, it's a song- and sketch-based satire of the usual holiday fare. For Christmastime comedy in Spokane, check out Season's Greetings, an improv show from the Blue Door Theatre that spins scenes out of audience-suggested gifts (every Friday in December; bluedoortheatre.com). Tickets are only $7. 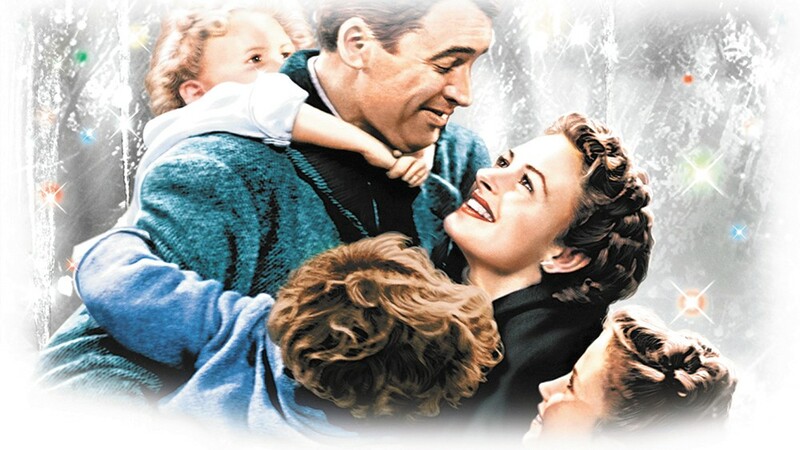 It's a Wonderful Life gets the radio-play treatment this season. On Christmas Eve, Friends of the Bing stages It's a Wonderful Life: A Radio Play in partnership with the Civic and Spokane Public Radio. This is a clever adaptation of the 1946 Frank Capra movie starring Jimmy Stewart; each actor pulls double duty as a stage performer in the actual play and a radio performer in the play within the play. Alternatively, it's possible to enjoy one-half of its charm by tuning in to the simultaneous audio-only broadcast on KPBX. If you've got other plans on the night before Christmas, you can catch a production of the same play in historic Wallace, Idaho at the Sixth Street Theater ($15; sixthstreetmelodrama.com) from Dec. 11-13. And what December would be complete without multiple productions of A Christmas Carol? 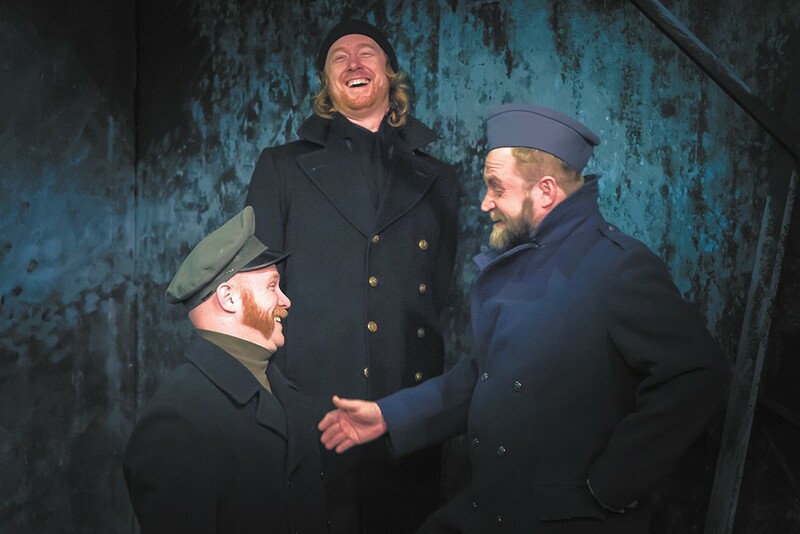 This season you can choose from three different regional versions of Charles Dickens' redemptive paean to peace on earth and goodwill towards men. The first (Dec. 3-13) is put on by Idaho Repertory Theatre and University of Idaho Theatre Arts at the university's Hartung Theater ($15; uidaho.edu/class/irt). Between December 4-6 and 10-13, there will be an adventurous steampunk version of the play — think Ebenezer Scrooge meets Jules Verne — at Pullman Civic Theatre ($12; pullmancivictheatre.org). That's bookended by another traditional version, this one at Pend Oreille Playhouse ($12; pendoreilleplayers.org) in Newport, Washington, Dec. 11-20.